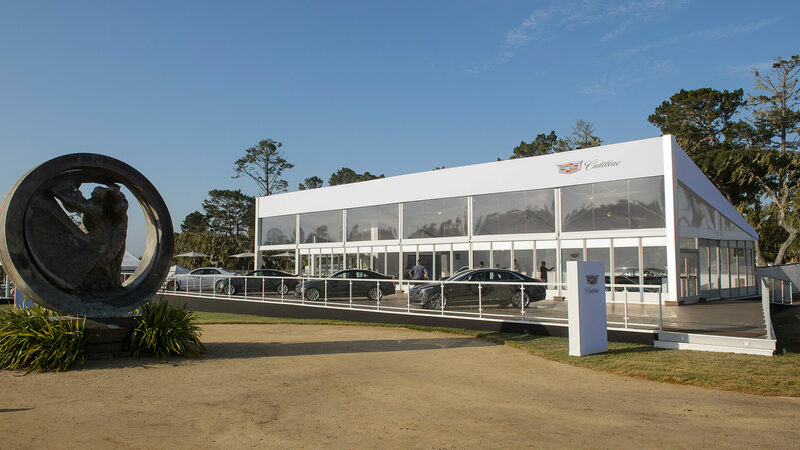 Whether on the Monterey Peninsula, or at race tracks, or wherever Cadillac prospects roam, EEI has a long history of partnering with Cadillac’s experiential agency, Jack Morton to realize the precise character of Cadillac- branded experiences. EXCEPTIONAL ENVIRONMENTS. REFINED EXPERIENCES. OUTSTANDING STAFF. 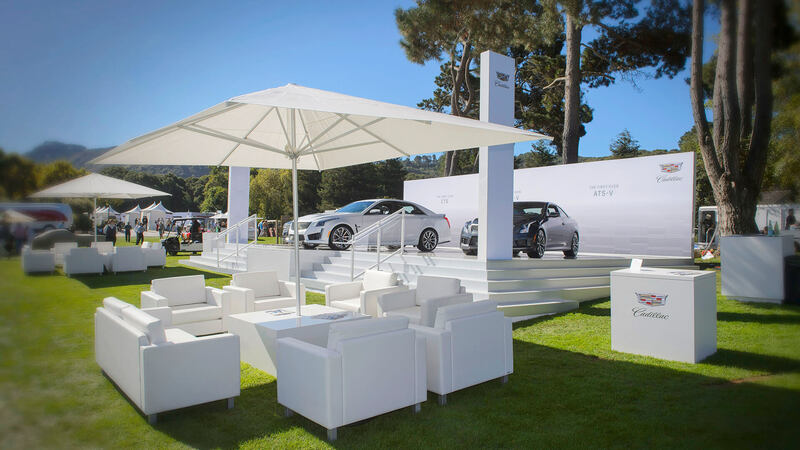 Luxury is what it’s all about when automotive aficionados converge on the Monterey Peninsula each August to celebrate design, engineering and camaraderie at Concours d‘Elegance and The Quail. For the last eight years, EEI has delivered exceptional environments and experiences for this discerning audience — under strict timelines across multiple structures and locations. 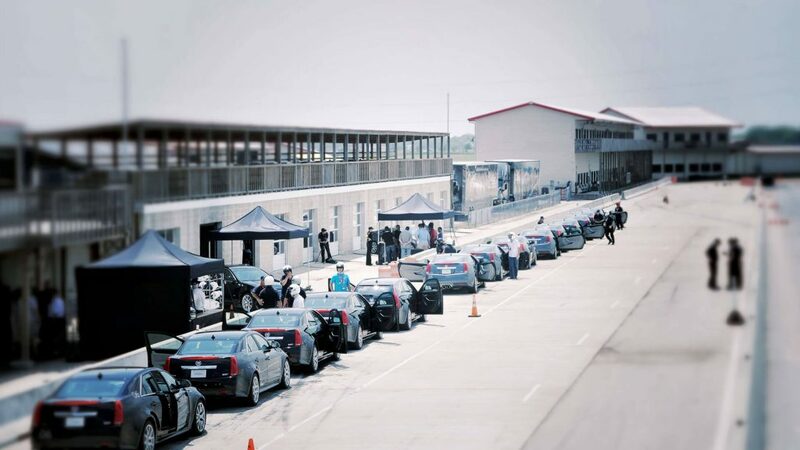 Introducing Cadillac V-Series performance was the goal at an invitation-only series of events at select race tracks. These EEI-produced events targeted high-end automotive enthusiasts and conquest drivers of import luxury sedans. From arrival in the parking lot, guests received true Cadillac-level concierge service from EEI staff, paving the way for each guest’s true appreciation of the Cadillac V-Series driving experience. 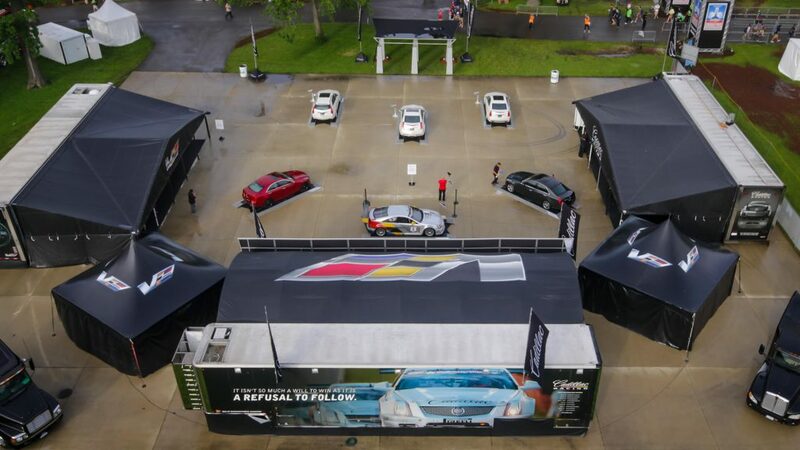 For a different take on performance, EEI worked with Cadillac to promote the V-series among current owners, performance enthusiasts and casual intenders in eleven locations for 20 rounds of Pirelli World Challenge GT racing across North America. Our modular trackside hospitality design ensured that greeting and activating guests (rather than setting up) was the focus on each race day. 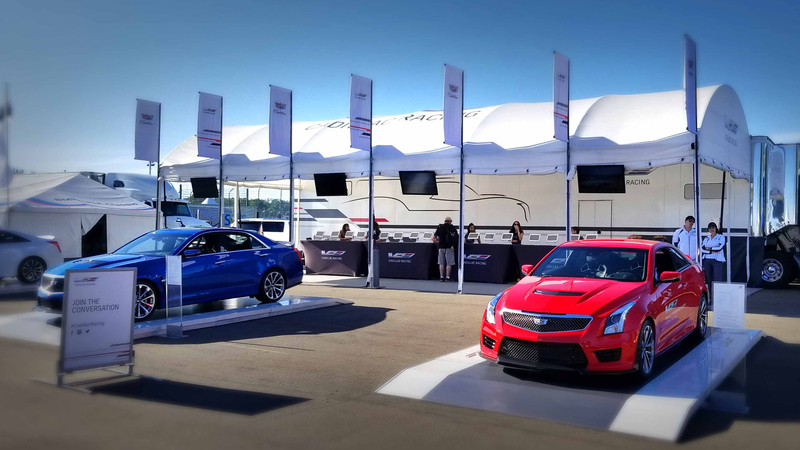 Today, that experiential model continues to support Cadillac’s racing efforts in the IMSA Weathertech Championship. 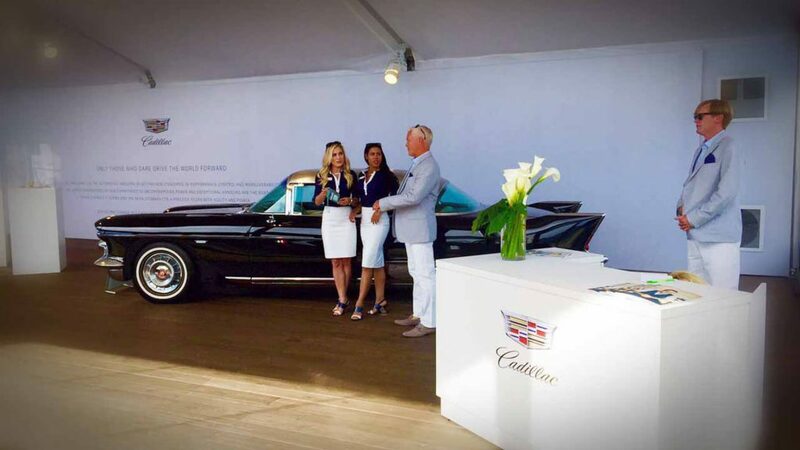 Flawlessly executing remote events worthy of the Cadillac brand character draws on the depth of EEI’s experience. A wealth of skill sets is tapped; design, fabrication and engineering of the display elements, graphic design and production, logistics and transportation, digital and film production, and of course, staffing. EEI’s exacting standards insure that product specialists, brand ambassadors, and precision drivers represent Cadillac appropriately and effectively.